TOLEDO, Ohio (AP) — Ohio school districts in the past year and a half have tested drinking fountains and faucets inside hundreds of older buildings, finding that about 10 percent of the fixtures had elevated levels of lead in the water, state records show. About half the kitchen and classroom faucets and fountains have been replaced while the others have been shut off or are no longer used. Nearly all of the voluntary testing was done after Ohio overhauled its oversight of lead in drinking water in 2016 following the lead-tainted water crisis in Flint, Michigan. The legislation included grants for school buildings built before 1990 so that districts could test the fixtures and replace those that dispensed water with lead levels above the federal limit. So far, the state has paid nearly $500,000 for testing and replacing hundreds of drinking fountains and faucets, according to the Ohio Facilities Construction Commission. Just a fraction of schools and day care centers nationwide are required to check for lead in their water because most receive their water from municipal systems that test at other locations. But in some cases, the water can be tainted by pipes or fixtures made with lead. New York and New Jersey in 2016 began requiring testing of drinking fountains and faucets in schools while Illinois began mandating tests in elementary schools and day care centers. Young children are at particular risk of lead, which can trigger lower IQs, developmental delays, behavioral problems and other health issues. In Ohio, where testing isn’t required, more than 14,000 fixtures were checked through November and just over 1,400 had lead levels above the federal limit. Several school administrators told The Associated Press that the tainted water was linked to the faucets and drinking fountains made with lead parts and lead solder joints. Most of the Ohio school buildings tested did not have any fixtures with high lead levels. Drinking fountains and faucets were replaced in about one-third of the 558 school buildings checked, but there are about 160 reviews still pending, said Rick Savors, a spokesman for the state’s facilities construction commission. About half of the faulty fixtures that were replaced were in elementary schools. Overall, most of the school buildings needed to replace just one, two or three fixtures. Because the tests were left up to the districts, not all of the older school buildings in the state have been evaluated. 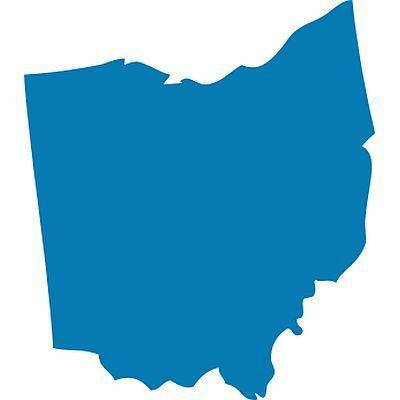 Just nine of Ohio’s 20 largest school districts took the state up on its offer to be reimbursed for testing the fixtures in some of its buildings, according to data provided by the commission. The state’s records said the biggest district — Columbus — tested the fixtures in only three of its buildings, but district spokesman Scott Varner said they tested all of its schools built before 1990 and replaced fixtures in three buildings. Cincinnati and Toledo didn’t apply for the grants to check fixtures in any of its schools that qualified, the state’s records showed. Toledo schools didn’t receive information about the grants in enough time to meet the program’s deadline, said Patty Mazur, a district spokeswoman. But the district did hire a company to do the testing in its older schools and replace fixtures over the limit, she said. Two of the biggest districts to conduct widespread testing also replaced the most fixtures — Cleveland swapped out 216 and Akron switched 61. He said he was aware about the dangers of lead pipes but didn’t know problems also could be traced to drinking fountains and faucets until the grants became available. “It’s kind of scary,” Boxler said. Cleveland began making plans to test its buildings several months before the state announced it would reimburse public and private schools, said Patrick Zohn, the district’s chief operating officer. The district checked its fixtures twice before spending six months replacing drinking fountains and faucets in kitchens, nursing stations, and classrooms before the beginning of this school year. “Those outlets were shut off as soon as we found out,” Zohn said.